Summary: We’re in no condition to stand in judgment upon the Ezekiel’s hearers. 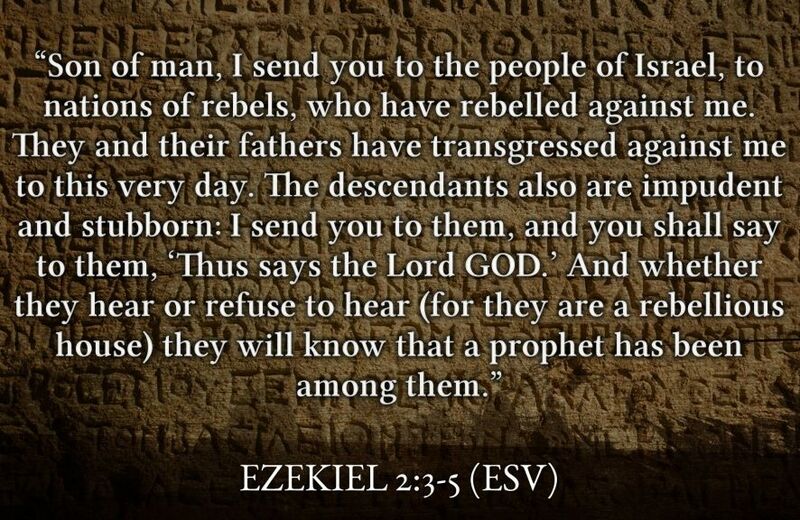 We are no less rebellious than was Israel when God sent His the prophets to His people. We are every bit as hard-hearted as were the most shameful sinners to whom Christ’s apostles spoke. We continue to need the rebuke and correction of the Law but even more desperately need the words of hope and promise proclaimed by prophets and apostles, that God sent His Son, our Lord Jesus Christ, to save us from our sins by winning full forgiveness on the cross. We need pastors to preach the Word with power so that we will know that we have heard the voices of the prophets and the apostles — indeed, of God Himself. And hearing, we pray that we are convicted, cleansed, and comforted as the Holy Spirit works through the Word on our hearts and minds. Text: And [the Lord] said to me, “Son of man, stand on your feet, and I will speak with you.” And as he spoke to me, the Spirit entered into me and set me on my feet, and I heard him speaking to me. Martin Luther, “Small Catechism,” Concordia: The Lutheran Confessions, ed. P. T. McCain (St. Louis, MO: Concordia Publishing House), 313. 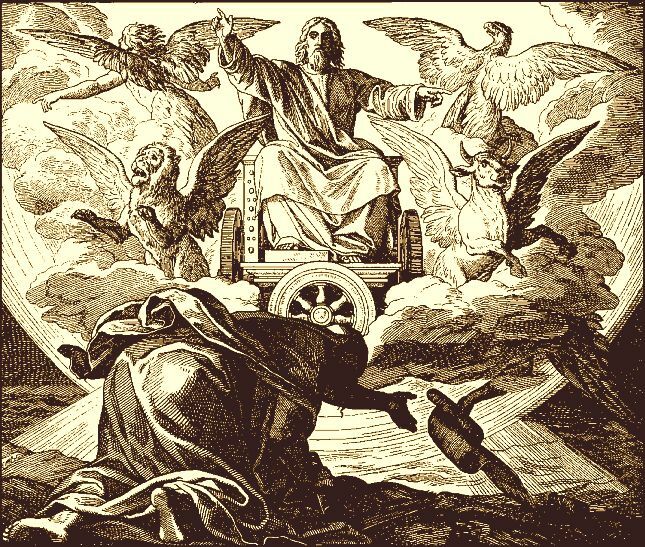 Illustrations: The Call of Ezekiel from Die Bibel in Bildern by Julius Schnorr von Carolsfeld. Text art generated by the Visual Copy tool of Logos Bible Software.